Eugene Jacobson v. Southeast Personnel Leasing, Inc./Packard Claim Administration, Inc.
Click here to read the full opinion! Earlier we advised the 1st DCA has “struck again,” literally — declaring yet another section of the statute unconstitutional as applied. While it was a little tricky to advise initially on the extent of the recent Westphal opinion (presently on rehearing), this one seems easier to nail down. Despite the shock of reading the “headline,” the actual holding seems quite limited. Through a long and dramatic analytical process (which we do not believe necessary to break down and report on for the limited purpose of getting needed knowledge in your hands now), the court has concluded: a claimant may not be prohibited by law from retaining an attorney — and paying that attorney — to defend a claim for costs filed by the E/C, whether or not E/C is justified in seeking costs and/or prevails. Some of us had concerns the cost statute was a little tightly wound in places – – and this was one of those places: presently, E/C may hire an attorney to bring a claim for costs and pay counsel anything it cares to – – but the law forbids claimant to pay an attorney a penny, even out claimant’s own pocket, for defending the cost claim — whether claimant wins or loses — and claimant’s counsel must essentially abandon the claimant or work for free, even after a ‘total ‘loss on the merits. The court now simply says: let claimant hire an attorney to defend EC’s costs claim if claimant wants to pay for one: who are we, the government, to say no to that? Saying no to that violates the claimant’s Federal Constitutional rights under the First Amendment. That’s it. 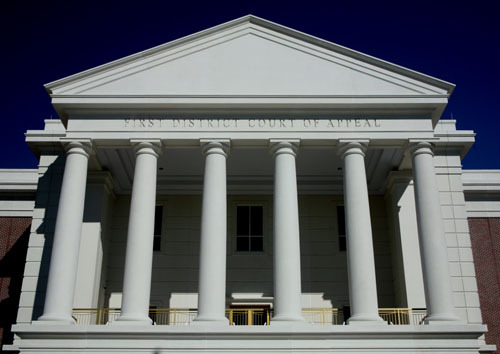 The court has clearly limited the scope of its holding – the concurring opinion makes certain that point is understood — and neither judge on the panel has disputed or criticized the concurring opinion. This potentially destabilizing result could have gone anywhere, and we have heard some alarming accounts in the first hours since its publication, but in practical effect we believe it is safe to say: nothing much to see here folks, move along. In fact the way the holding is limited may actually serve a benefit, a little like an inoculation, because in the process of getting “there,” the court seems to go out of its way to reassure us the core components of the attorneys’ fee statute seem to check out okay, constitutionally. Will the opinion serve as a catalyst for discussion along the lines: why can’t claimant pay a fee, if claimant wants to, during the merits phase? Who’s to say, but the important point for now is: the court gives reasons why that should not happen under the current statute. Although jurisdiction in the Supreme Court is guaranteed, E/C must first take it there by filing for review: if EC does not take it up, then the holding stands. But assuming EC does take it up, what then? No one knows for certain but we project the scope of the controversy will remain limited and not, like a wildfire, spread further at the Supreme Court level, thus containing the blaze to a small parcel. In fact, apart from the unsettling news that any part of the statute has been declared unconstitutional, it is hard to imagine less fallout from such a result than we see here. As always, our attorneys are available to assist with any question, concern or need regarding this or any other matter. MKRS will continue to keep its esteemed industry and claims clients abreast of developments, while continuing to defend their interests, just as it has been doing since 1958.